For a fastener to do its job, it must be tight. As a fastener is tightened it is forced to stretch. Fasteners work like springs. When you stretch a spring, it pulls back – trying to return to its original size. The stretching force is called tension. The force that pulls back is called compression. 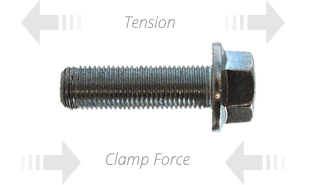 The stretching force on a fastener is also called tension. The tension creates clamp force, which holds things together. 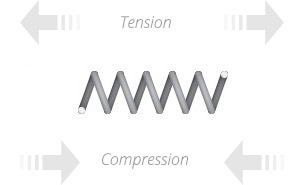 Tap the images above to see how compression, tension and clamp force work. A SmartBolt is a fastener with a built-in visual tension indicator. We call this the Visual Indication System™. As a SmartBolt is tightened, tension forces it to stretch, and our patented Visual Indication System™ correlates fastener tension with color. 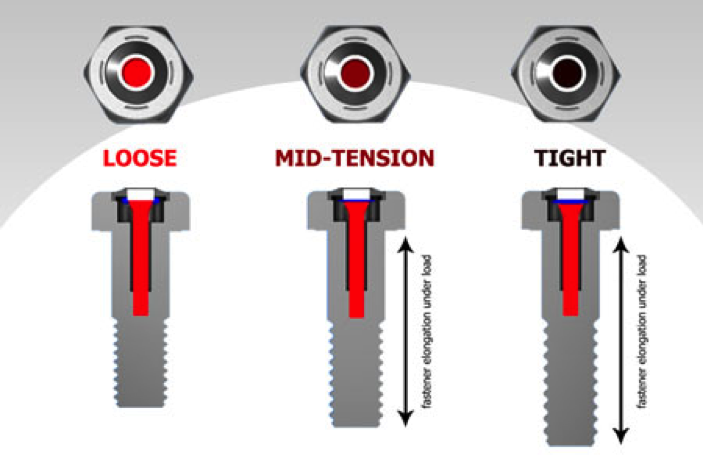 Now, you can know at a glance that your bolts are properly tight and doing their job. Sign up to learn about our latest innovations!